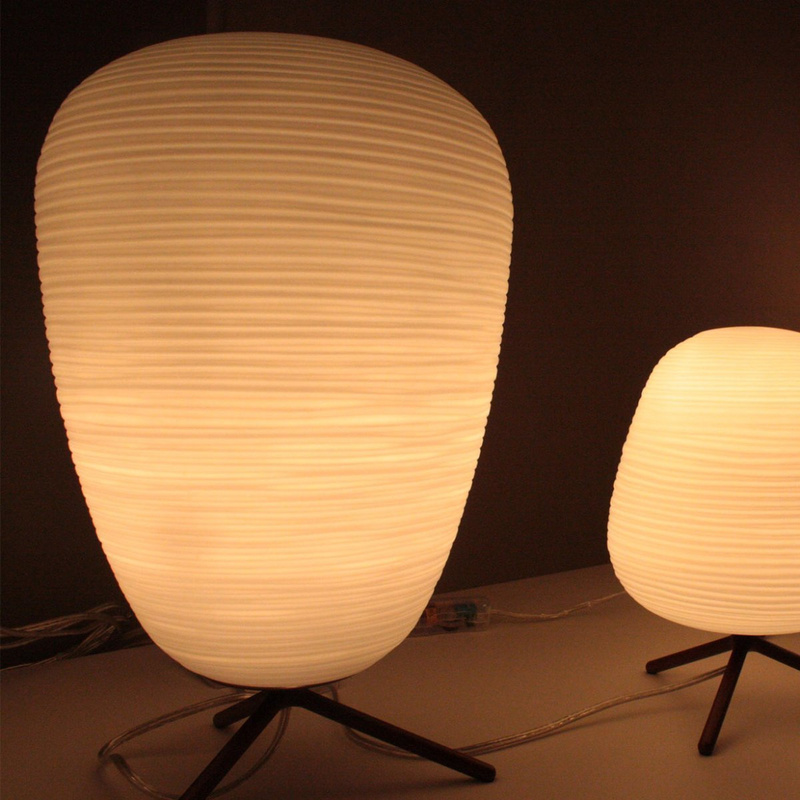 The challenge - translate the delicate lightness of Asian washi lamps into glass lamps. 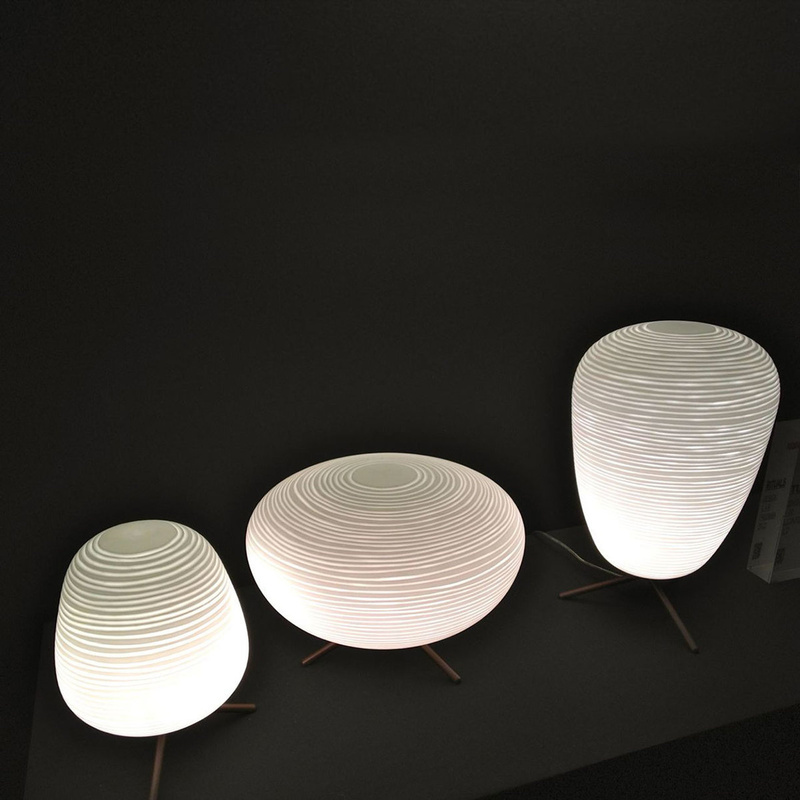 Only Foscarini's know how could succeed, in cooperation with skilled Murano glass blowers. Rituals is a collection of three diffuser shapes in hand-blown glass made using a glass-blowing procedure without turning the glass in the mould (referred to as "stationary"); the striped effect is achieved using a mould with negative decorations which are repeated across the surface of the glass, which is subsequently ground manually "by belt" and which then undergoes immersion in acid in order to emphasise the plaster-like effect. The diffuser rests on a die cast zinc alloy tripod coated with epoxy powder paint with a rough finish on the metal surface. Available in two versions with G9 or E27 lampholder, the version with the G9 lampholder features a dimmer on the transparent cable for the gradual adjustment of brightness, while the version with the E27 lampholder is fitted with an on/off switch. Cable length 180 cm. Ludovica and Roberto Palomba, architects, live and work in Milan. 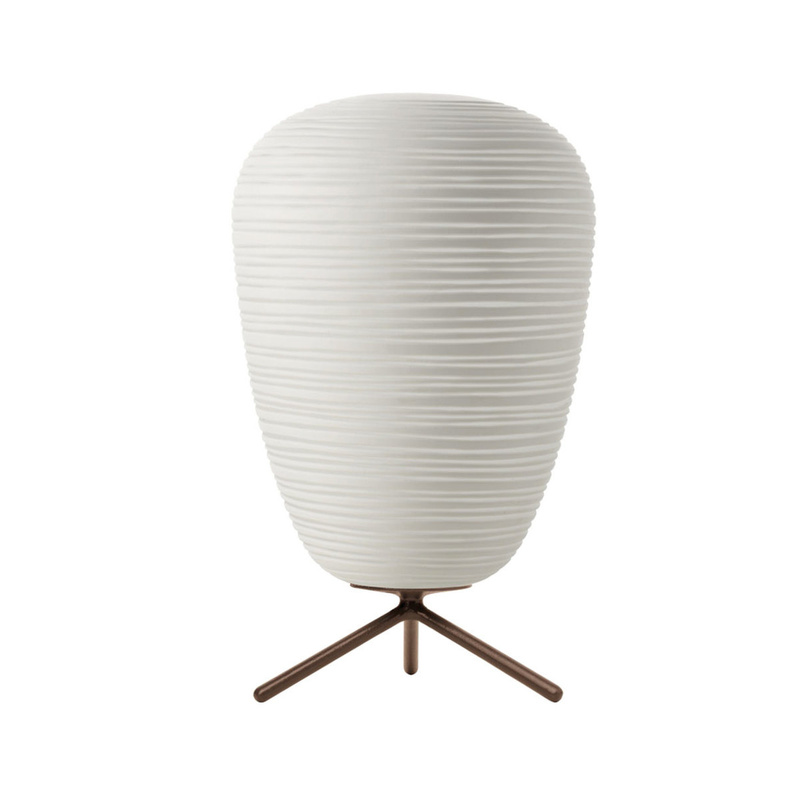 They founded in 1994 Palomba Serafini Associati. 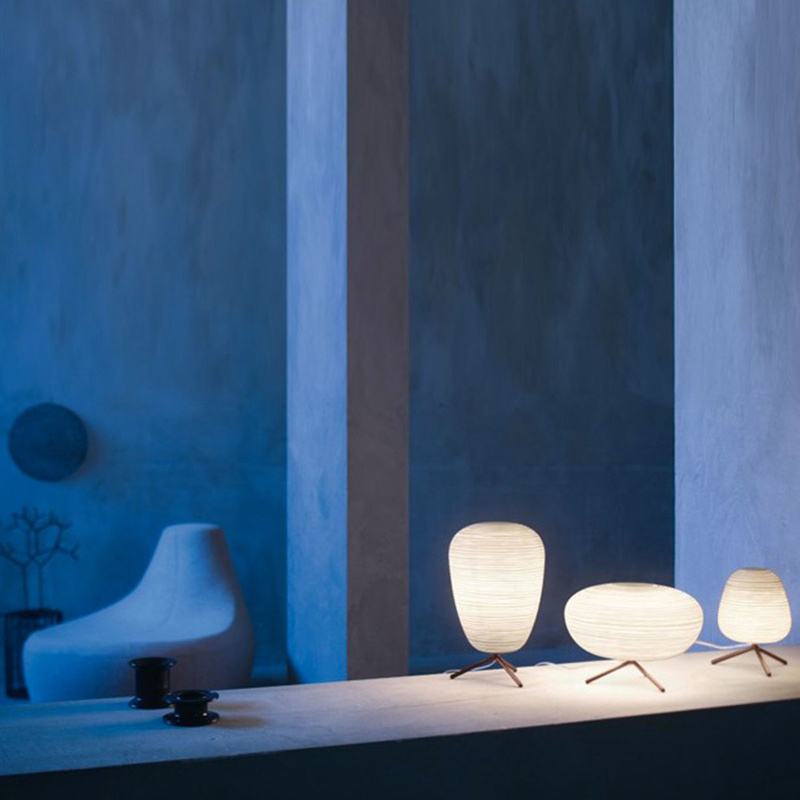 They received many prizes and international awards like the Compasso d'Oro, the Elle Decoration International Design Award, the Red Dot, the Design Plus, the Good Design Award, the German Design Award. 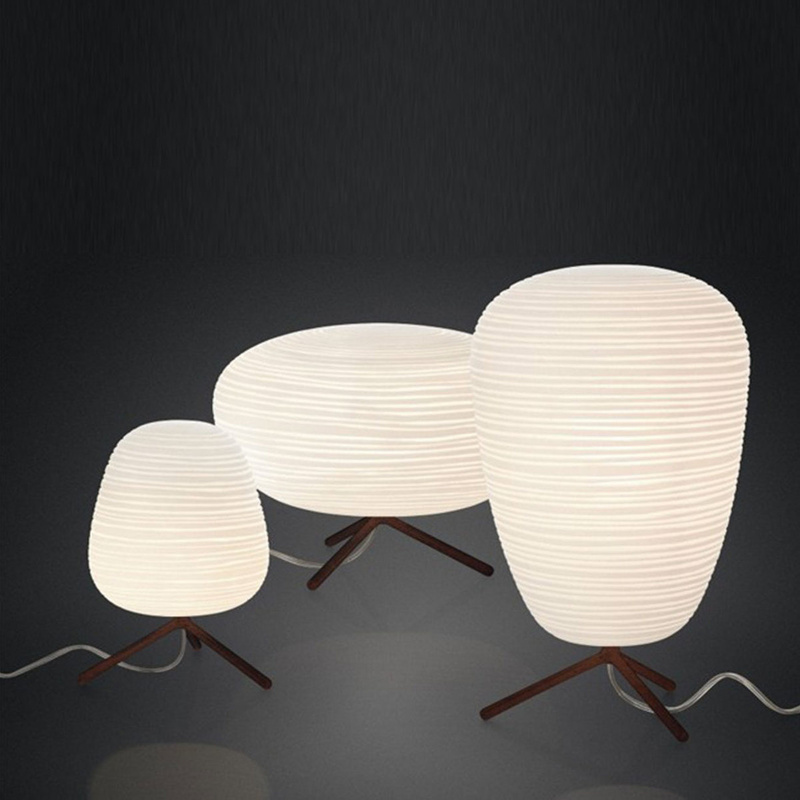 They design architectures and exhibitions all over the world and they have partnership with the most established brands.